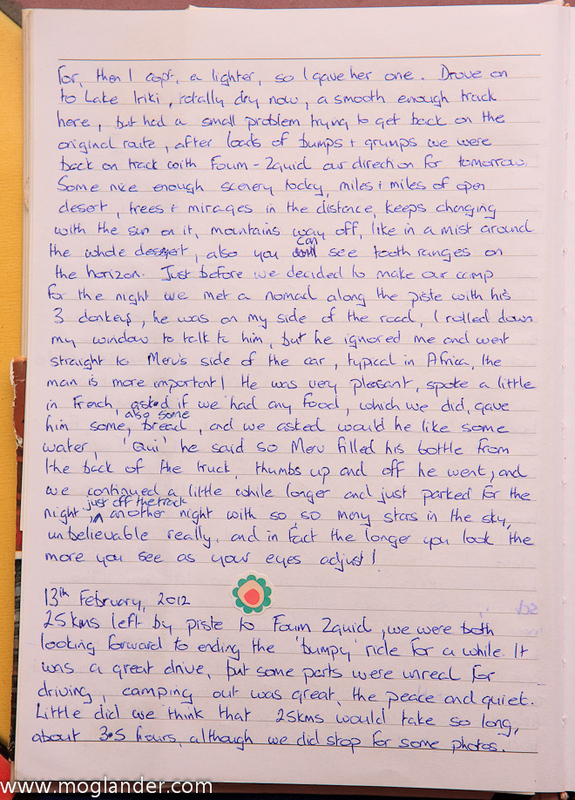 Sarah’s Journal – Moroccan desert. 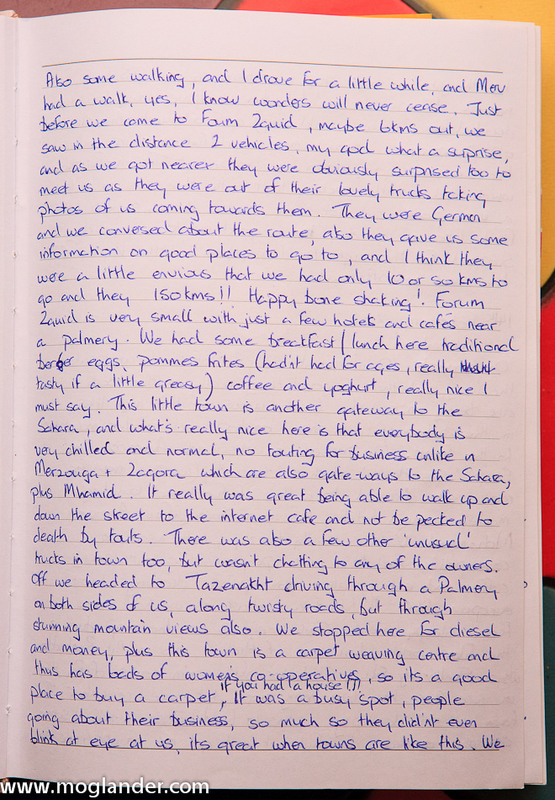 Sarah’s Journal is a place of Mystery, where I’m only allowed to look once it’s updated, and then I’m supposed to have taken the photos to go with the stories. It’s a pretty tricky process that I’m still figuring out! 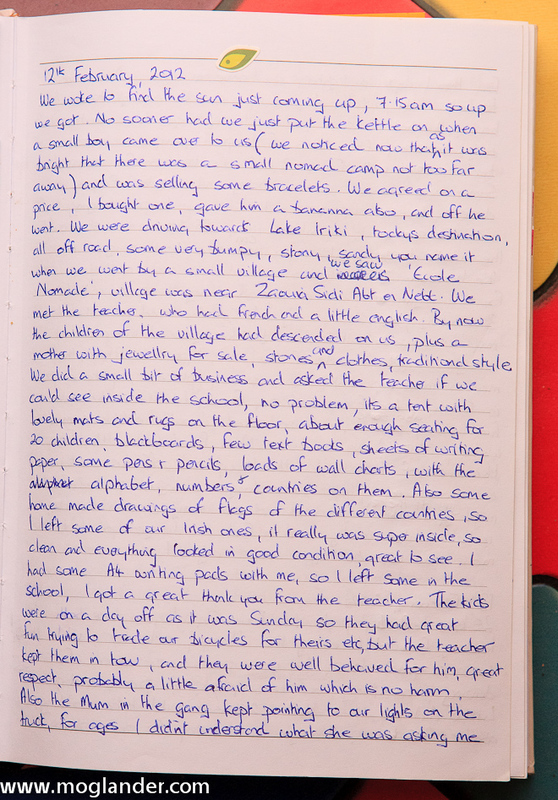 Anyway, I thought you might like a peek inside…. 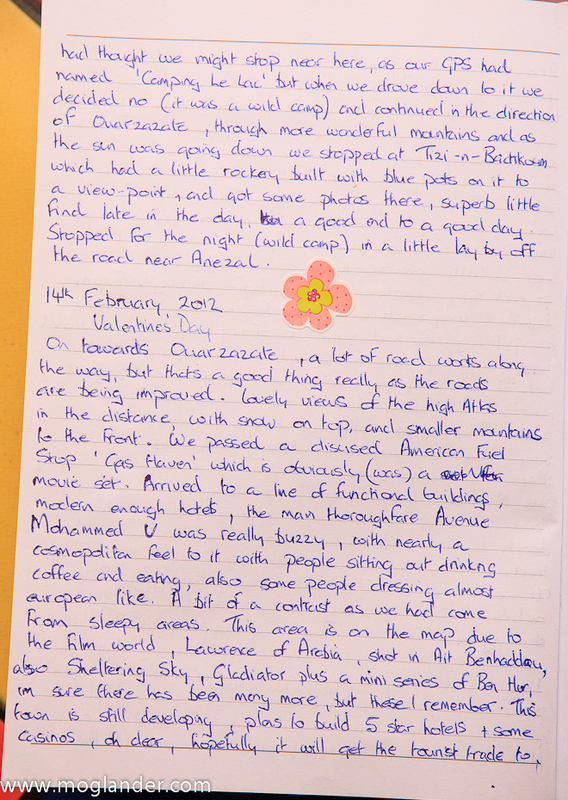 Sarah's Journal - Feb 14 last page. I have to say, top marks to Peter from Bikershome, He helped out Claire and Robin when their Toyota broke down, exploded, went on fire, blew up, went nuclear, melted, caught malaria, had the runs and farted like a Guinness drinker after a feed of onion and sprout sangers. Also you have have noticed the the priorities changed to getting our hands on tickets for the French Open in Roland Garros (RG). I am happy to report that the said tickets have been successfully acquired, and the journal author will be on her way to watching tennis in Paris in June. And yes, I brought my wife to a Pizza joint for valentines night. TIA. This Is Africa! 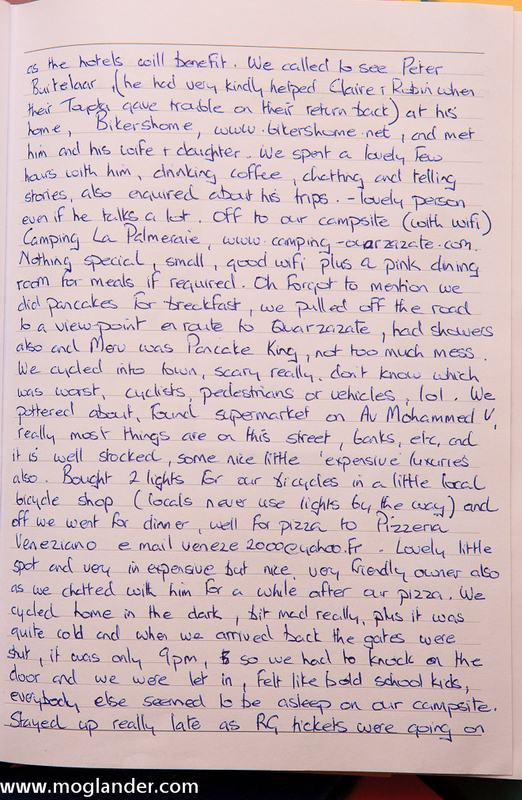 8 Responses to Sarah’s Journal – Moroccan desert. Now I really feel like I am sitting in the Mog with you guys!!! Fantastic read. bet you felt very “young and hip” in a pizza joint on Valentines night! Am I not cool and hip all the time? And yes, a Pizza joint. Merv sure knows how to show a girl a good time. Enjoyed this one immensly. Merv you’re sooooooooo romantic. Pancakes and Pizza? swoon! Glad to hear you got your tickets Coopie! Too right Robin! I think Merv is upset because the Toyota never got stuck….